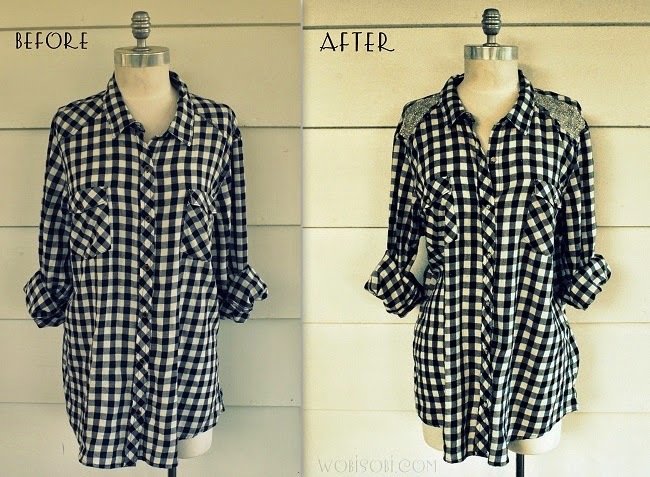 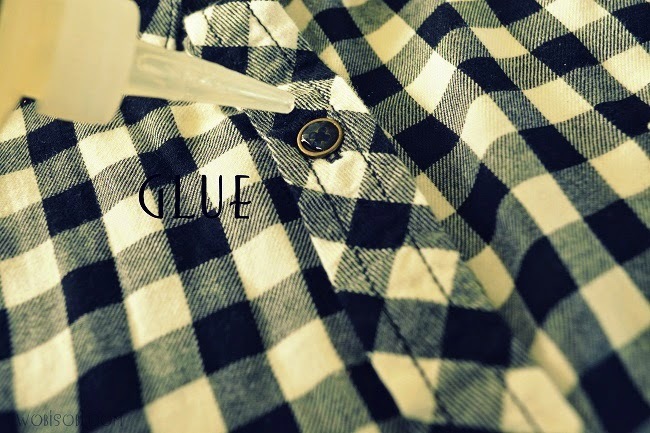 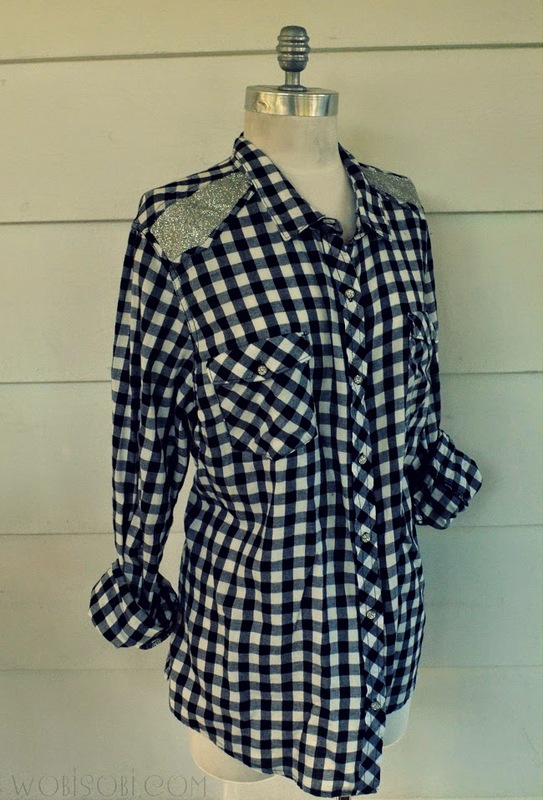 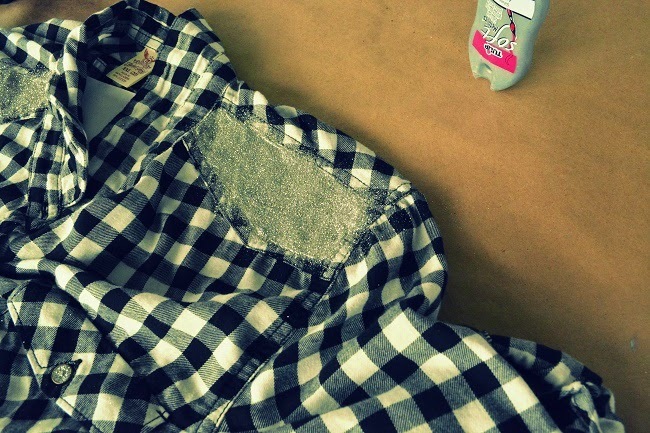 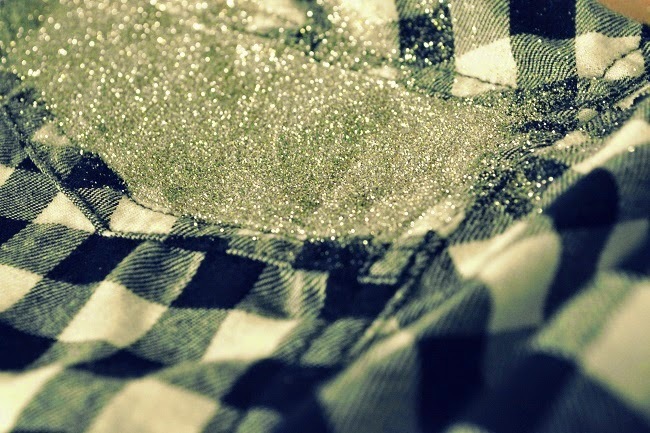 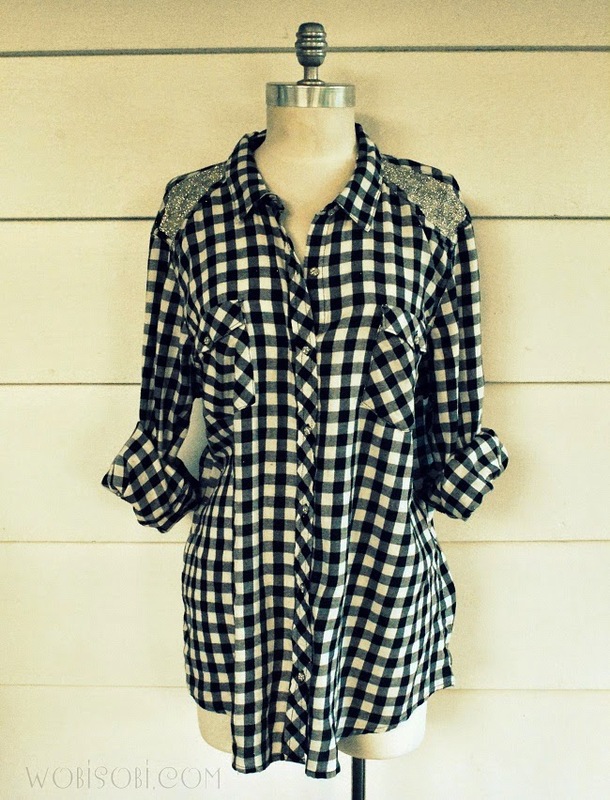 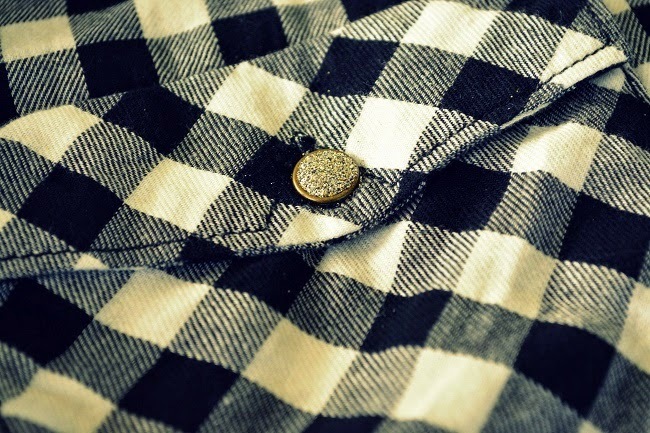 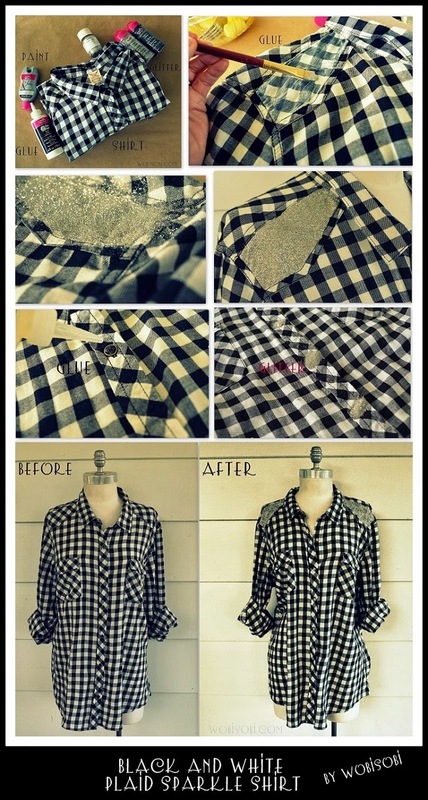 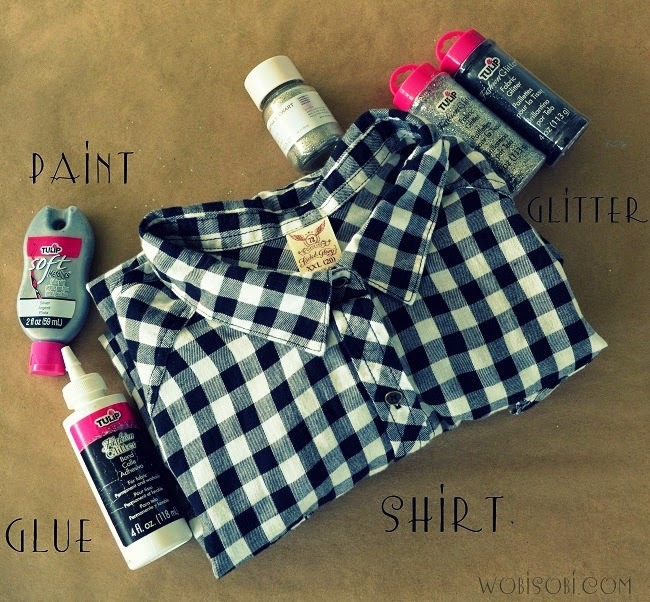 WobiSobi: Black and White Plaid Sparkle Shirt DIY. 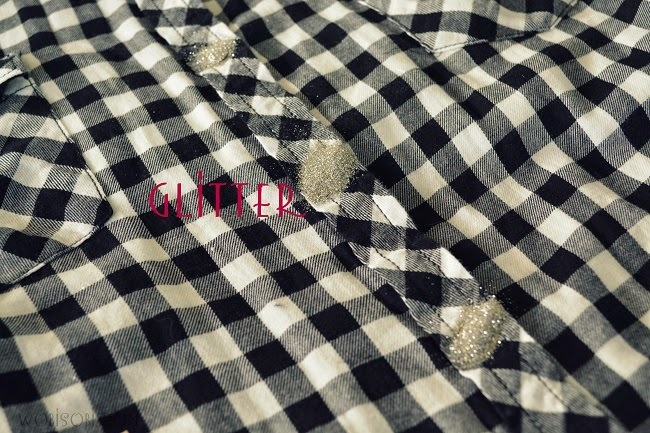 Brush Glue on the section that you want to glitter. 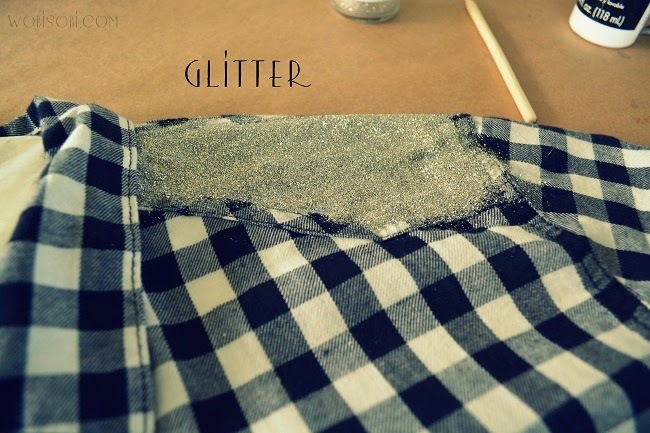 Let dry and then paint over the glitter with Silver Soft Fabric Paint. 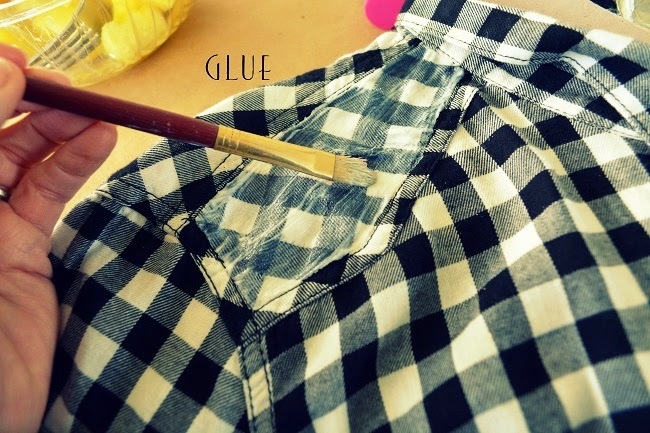 let that dry and put one final coat of glue on top to seal in the glitter. 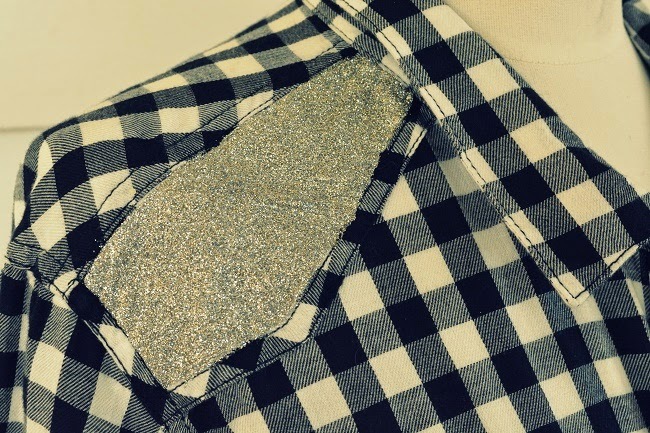 Now you have added a touch of Sparkle to a plain shirt.